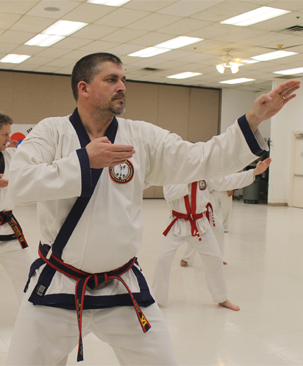 Master Michael Olivero, 7th Dan (#14914) started his martial arts training in 1979 at age 7. By the age of 10, in 1982, he had earned his Black Belt (1st Dan). He became a master Instructor, 4th Dan, in 1995. He graduated from Eastern Michigan University in 1995 with a B.A. in Criminal Justice. Currently he is a Defense Tactics and Use of Force Trainer for the State of Michigan. In his spare time Master Olivero coaches youth football and baseball in the Lincoln Public Schools system. He shares his expertise weekly teaching students at the Westland branch of the Michigan Academy of Martial Arts.